DO YOU HAVE A MINDSET FOR COLLABORATION? Yes, we do need collaboration. To succeed, we need a collaboration mindset. Collaboration relies on openness and knowledge sharing but also some level of focus and accountability on the part of the business organizations. Collaboration happens when all voices are heard, and all contributions valued, within a safe and open space of dialogue. People feel included and are encouraged to actively participate in the discussions or creative process. 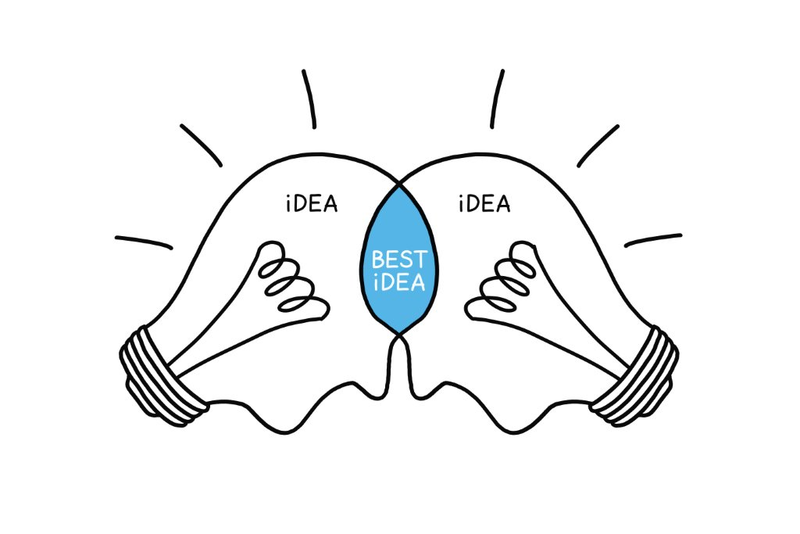 Collaboration gets stuck when we believe our idea is the way. We cannot accommodate another viewpoint because we are so locked in our own. Time and tradition clouds the lens from which we view things. We get so accustomed to our ways that we fail to see the bright and new. We can empower collaboration by changing our mindset. A changed mindset can alter the way we view others, our self, and a situation. It can shift our communication to more creative and inclusive language, and expand our range of awareness so we are more sensitive to the energy dynamics within a group. Collaboration begins with how we see others and ourselves. Specifically, it starts with trusting that humans are born with the innate ability to contribute and make empowering choices. It is easy to delight in telling people what to do; it is another thing to hold space for people’s natural wisdom, and the expertise they’ve gleaned from a lifetime of experiences. Seek the wisdom of the fool—he who has the beginner’s mindset and sees through fresh eyes, courageously welcoming in the new, and stepping into uncertainty. The Fool helps us to remain open and curious in the face of ideas that transcend commonly known principles and practices. And the Fool is not afraid of sharing foolish ideas. He knows that many brilliant ideas first started as foolish ones. Therefore allow all ideas to come to the table, for one never knows what a wacky, “out there” idea may lead to. We remain closed and doubt our creativity because we have a lifetime of judgment under our belt. We have learned to believe that we are not smart, creative, empowered, brilliant. So we plot our responses carefully to mitigate a negative reaction, or not even speak at all. A team can change the culture of its collaborative process by stating at the beginning of a meeting, “We all have full permission to not get it right. We have full permission to fail.” Or you can say, “Nobody gets to be wrong”. In truth there is no such thing as failure; only unexpected outcomes. What’s most important is that you feel the safety and permission from within and without to share your ideas. The Spirit of Yes And teaches us that to truly receive what someone is saying, we must release our need for agreement, and sit more firmly in acceptance. When we look for agreement we are no longer open to another’s point of view. We have stopped listening to anything but our own agenda. Discussions can move more fluently if we temporarily suspend our need for agreement and allow room for all points of view. Eventually agreement does need to be met, but it is more easily achieved through the path of acceptance. Curiosity is an attitude of genuine interest. It is the capacity to draw out thoughts and feelings by creating a safe space for others to share their authentic Self. These thoughts and feelings serve as information to create from, or build upon, in the collaborative process. We can practice curiosity by asking questions that are simple in nature, yet powerful in impact. Examples include: What do you think? What does your intuition tell you? What do you want? What’s important to you about that? What do you value? Say more. Tell me more. Notice how much you share ideas versus ask for and listen to the ideas of others. If you are someone that tends to fill the space with your thoughts, try holding back. Give others a chance to fill the space. And if you are someone that tends to hold back, take the risk to speak up a bit more. Value your contributions and claim the space. Collaboration thrives when each person can hold and take space with awareness, clarity and deliberation. Instead of thinking an idea is yours, consider that the collaborative process inspired it, and it therefore belongs to something much bigger than just you—it belongs to the team. Collaboration loses its flow when we attach to, or identify with our idea too much versus giving credit to the whole. We must remember that we are much more interconnected than we know. Teams are tapping into a collective wisdom that lays beneath the conscious mind, and that inspires insights and contributions amongst all players. In the end it is not only about individuals inside of one company. It is often the collaboration between companies to work together to achieve a defined and common business purpose.